Keller Williams' self released album GRASS is a delightfully bizarre collection of anything-but-traditional bluegrass songs. 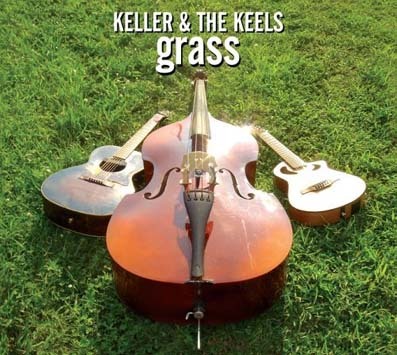 Like most recordings from Keller, GRASS is self indulgent and possibly offensive to those who lack a sense of humor, but Keller had a damn good time recording it. For the project Keller teamed up with old buddy and award-winning flat picker Larry Keel on guitar, and Larry's beautiful rock-solid in-the-pocket acoustic bass playing wife, Jenny Keel. The result is an organic and airy acoustic record featuring 10 songs, originals and unexpected cover tunes, that yield to a pure love of music. GRASS makes it better.